Customer Sees 66% Print Savings Using MyQ Solution | Industry Analysts, Inc.
Metrostav a.s., the largest construction company in the Czech Republic, is active in 15 other European countries beyond its home market. 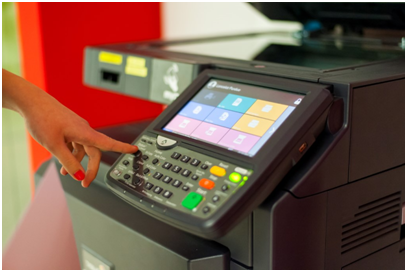 Metrostav was faced with growing printer costs, poor document controls, and a decaying fleet of devices a managed print nightmare! They had nearly 1,700 printing devices spread across European building sites, from various manufacturers, and most of them were technologically obsolete. Many of these printers had been damaged by dust from construction-sites, reducing output while increasing service and maintenance costs. When MyQ was finished, Metrostav had gone from 1700 devices to 440, all with a MyQ central print monitoring system. That’s a decrease of nearly 75%. Metrostav has offices spread throughout Europe, so each location with two or more MFDs had the MyQ Service Module installed. By reducing the number of devices on which they depended, and having a MyQ-centric system, Metrostav could now easily manage and use their new MFPs without issue. Metrostav saved 66% on printer costs (2.3 million Euro) in just four years. Thanks to MyQ’s automated reporting, their print volume also decreased by 20%. To read this article in its entirety, please visit our blog here. To find out how your organization can save time and money using MyQ, visit www.myq-solution.com. This entry was posted in MyQ and tagged Managed Print, MyQ by IA Staff. Bookmark the permalink.